Although initial investigations suggest that the Fukushima nuclear disaster will not impact the western US, several universities and research institutions agree it’s an important issue to monitor. Thanks to generous support from donors Blaine and Valerie Lando, Channelkeeper has joined two collaborative research efforts to assess radiation levels along our coast. In early 2014, Channelkeeper collected a water sample from Butterfly Beach for “Our Radioactive Ocean,” a Woods Hole Institute of Oceanography research project that is monitoring the extent of Fukushima radiation transport. No Cesium-134 isotopes were detected in our first sample, and the results indicated that background levels of radiation were normal and that Fukushima radiation had not arrived in Santa Barbara. In 2011 a sample near UCSB tested positive for Cs-134 at 7.4 Bq/m3. The highest value ever recorded throughout this sampling effort was a sample taken about 1,600 miles west of San Francisco, at 11 Bq/m3, which the researchers described as “more than 500 times lower than safety limits established by the US government for drinking water and well below limits of concern for direct exposure while swimming, boating, or other recreational activities.” Since then, samples taken in the Channel and along the Santa Barbara/Ventura coast (including the sample Channelkeeper took at Butterfly Beach) have not tested positive. 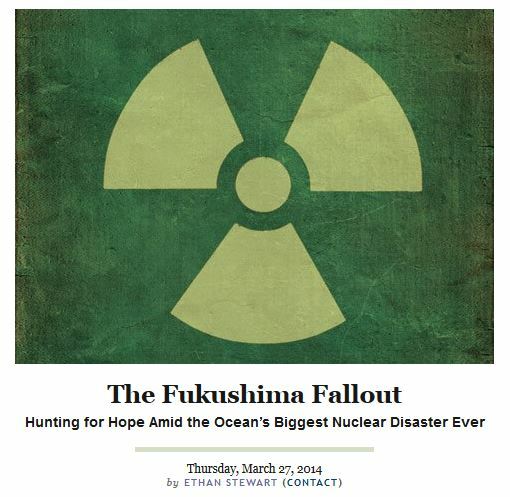 An update from December 2015 summarizing that research effort can be found at http://www.ourradioactiveocean.org/results.html. 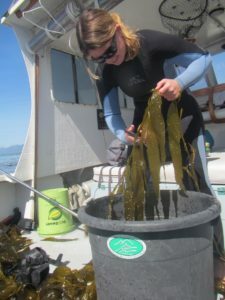 For more information on Kelp Watch visit http://kelpwatch.berkeley.edu/. Check out the Santa Barbara Independent’s cover story that highlights Channelkeeper’s collaborative monitoring efforts and discusses the facts and fiction surrounding how the west coast may be affected by the Fukushima disaster.